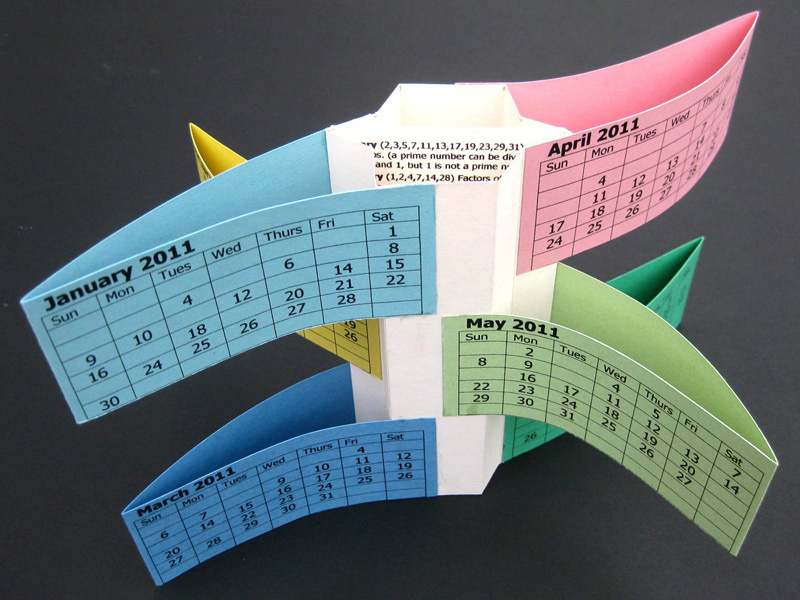 Based on a 2011 calendar, but with key dates removed in each month. Should you tire of working out the reasons for the dates omitted, there is a crib list on the central support card. The omissions derive from mathematical series and simple code messages. "Jester's Hat" structure, which folds flat, invented by Mike Clements. Digital print using archival inks on "mi-teintes" 160gsm paper.